Results Equivalent to 6 months of Traditional Marriage Counseling! The Marriage Restoration Project was founded in the Baltimore neighborhood of Pikesville, Maryland by Rivka & Rabbi Shlomo Slatkin. 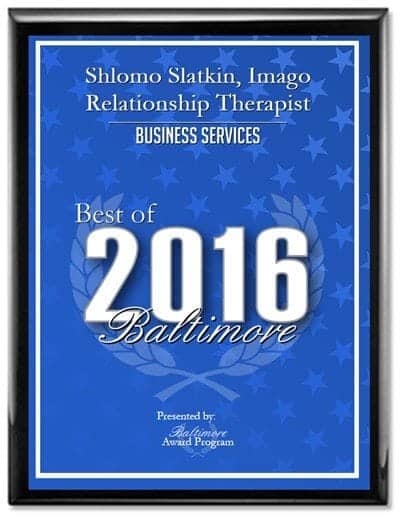 Slatkin and his colleagues couples counseling using imago therapy across the greater Jersey City, New Jersey area. Slatkin is a certified Imago Therapist, certified Imago Workshop Presenter, holds a Master of Science in Counseling, and is a Licensed Clinical Professional Counselor specializing in marriage and couples therapy. If you are having marital issues with communication, on the verge of a breakup or divorce, or just want to feel the love you used to, we can help. It’s tempting to want to choose a marriage counselor that is closest to your zipcode and takes your insurance. Usually, the best rated relationship therapists are out of network. There are many therapists you can choose from here in Baltimore. We hope that you will consider our “No Blame, No Shame” approach to marriage counseling that we’ve been using successfully with couples for over a decade. Since your marriage is your most important relationship, you’ll want to make sure you set yourself up for success by choosing the best counselor for your marriage, not the closest or the cheapest counselor. If you want marriage counseling that will actually work and not make things worse, think about attending a marriage intensive or marriage retreat. After working for over a decade serving the Baltimore community, we noticed that couples wanting to fix their marriage can’t possibly achieve the total transformation that they want in once a week 50-90 minute sessions. By the time you sit down and talk with each other and with the therapist, your time is up. That’s why, here at The Marriage Restoration Project, we only see couples in a 2 day marriage intensive format for their marriage counseling needs. 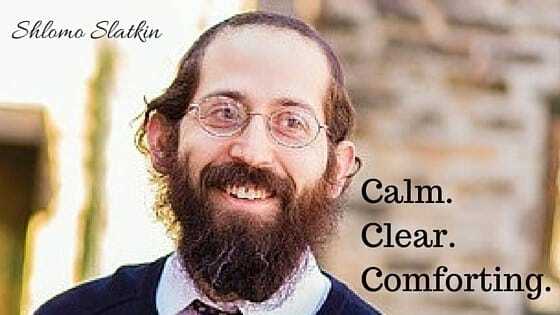 This intensive marriage counseling format works, and that’s why Rabbi and Rivka Slatkin, Baltimore natives, have over 10 years’ of real marriage retreat reviews and testimonials from couples all over Baltimore, Washington, and up and down the East Coast! Rabbi and Rivka Slatkin, Baltimore natives, have over 10 years’ experience serving the Baltimore community. Their successful marriage counseling work has been featured locally on many news outlets. In addition, their therapy work for couples has been featured in national blogs and papers such as the Huffington Post, Redbook Magazine, Readers Digest, Psychology Today, Bustle, The Good Men Project, and many more. Just because someone advertises that they see couples, does NOT mean that they have any expertise in the area. A social work degree or a psychology degree, does not make one trained in the extremely specialized and delicate work of marriage counseling. Just as you wouldn’t go to your general practitioner for an operation, you wouldn’t want to go to a general therapist to save your marriage. The future of your family and peace of mind is at stake. Lucky for you, a nationally renowned therapist is right around the corner. 10+ Years Experience Counseling Couples with Imago Therapy. Can you really trust your marriage counselor? What You Should Know Before You Decide to Work with a Marriage Counselor. Marriage Counseling can be a matter of life or death for your relationship. Many counselors are not equipped to handle the dynamic of working with two people in a room. Unless dealt with in a skillful way, conflict can escalate and the sessions can do more damage than good – stirring up old hurt and not offering constructive solutions for healing. Some counselors encourage divorce, for lack of a better solution. You are coming in to make your marriage better or to save it. The last thing you want to hear is that the professional can’t help you! You also have a LOT of choices when it comes to marriage counselors in New Jersey. It’s important to choose a therapist who supports your goals for your relationship. If your goal is to stay together and fix your marriage problems, our Private 2 day Marriage Restoration Retreat is for you. We are located in Jersey City on Newark Avenue. Contact us today! My name is Rabbi Shlomo Slatkin and I am a Licensed Clinical Professional Counselor and a Certified Imago Relationships Therapist (Advanced Clinician). I’ve put together a tried and true formula for you so that that you can feel optimistic and hopeful again about enjoying a marriage that is respectful, supportive, and healthy. It would be a privilege to work with you and support you in effectively bringing back clarity and love into your relationship. If you’re experiencing difficulties in your marriage, you NEED to have an intensive experience in order to create a breakthrough for your relationship. And it is also crucial to have followup to integrate what you’ve learned so that your results will be long lasting- which is what you want! Unlike a marriage workshop where you participate in a group setting with other couples, the retreat will give the privacy you need to deal with some of the most painful and personal issues you are facing in your relationship. The Marriage Restoration Retreat is two full days of marital therapy in my Baltimore office, plus 8 followup sessions in person or on Skype. If you’re in crisis, the first thing that you are looking for is the hope that your relationship can be better. Weekly sessions, which are normally only 50 minutes with other therapists, will often take a while to get you to a better place, and that’s provided that you have the stamina and resources to stick it out! Couples leave our 2 Day Retreat with newfound hope for their relationship, an understanding of what went wrong, and new skills to move forward. Filled with momentum and new commitment to your relationship, you’ve accomplished what would take in 6 months of therapy. All the resistance is gone and now you can do the real work to make your marriage wonderful in our 8 followup sessions. Here’s What Dr. Harville Hendrix, Founder of Imago Relationship Therapy, has to say about Rabbi Shlomo Slatkin. Any couple interested in restoring their marriage and sustaining it will be blessed if they follow the logical and clear steps and processes described by Rabbi Slatkin, MS, LCPC in the Marriage Restoration Project. Harville Hendrix, Ph. D. co-author with Helen LaKelly Hunt of Making Marriage Simple: Ten Truths for Changing the Relationship You Have into the Relationship You Want. When we participated in your Two Day Marriage Intensive about six weeks ago, we were at a crossroads in our relationship. We were recovering from infidelity, separated, and hoping to get some clarity as to whether there was a future for us and our young family. We walked away with hope that our communication could be different and that we could be more transparent with each other. We knew it would take time to decide our future but we were definitely open to the possibility that the relationship could last. Six weeks later, we are still experiencing positive results. We are spending more time with each other, having fun again, and our able to communicate with out the constant reactivity and defensiveness that was plaguing our relationship. While it will take time to rebuild the trust that was broken, we are hopeful that as we continue to implement and integrate the work we did with you that we will build a more solid future for our family. We can’t thank you enough for your help. By the time you finish reading this, another marriage will end in divorce. Good news, you can do something about it!